Go from box to full operations in 10 minutes! Solvent-free, high yield processing with zero waste. 100% natural, retaining ALL original aromas and flavors. Only heat and pressure; check out the Rosin Press in action. Go from box to full operations in under 10 minutes! The STM 4.0 Rosin Press requires no special training, earn a profit from your first day of work. The Rosin Press is ECO-friendly and super productive, featuring Solvent-free and high yield processing (up to 60 cycles/hr) that is low cost with minimal effort and zero waste. 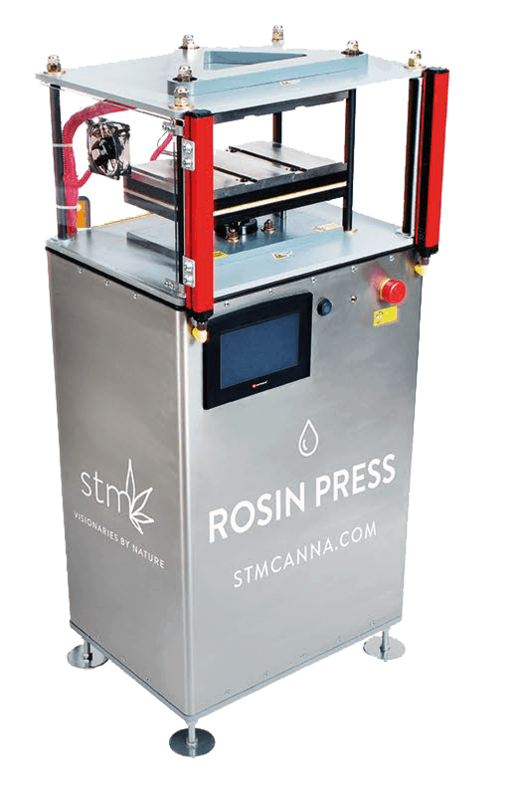 Being fully-automated, with interchangeable platens and a small footprint, allows the Rosin Press to adapt to your business. The boldness to innovate with non-chemical processes. The only fully automated, commercial quality Rosin Press is engineered and built in the USA using food grade stainless steel and industrial mechanical components. The thermocouple quad heat zones and air filtration cleaning system of the Rosin Press provide an accurate, user-friendly experience in a sterile working environment. A Technically Advanced Commercial Rosin extrACtion system. A green and clean process that retains ALL the terpenes. Produce a pure, 100% natural product, complete with its original aromas and flavors. No solvents or chemicals, just heat and pressure are used for the extraction process. The by-product can be ground and shaken into the Rocket box for joints. get the production you want, We’ll show you how. Extensive research and testing reveals the most optimal heat and pressure ratios for maximum yield off the purest product. 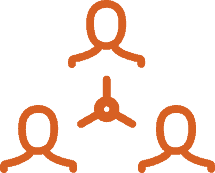 STM 4.0 gives you precision, with options that work best for you and your business. The ergonomic 7″ touch screen is fully programmable for multiple user presets, allowing ultimate customization of the environment (temperature, dwell, and pressure) with a variety of materials. Operate the STM 4.0 automatically with your preset settings or run it manually, the choice is yours.